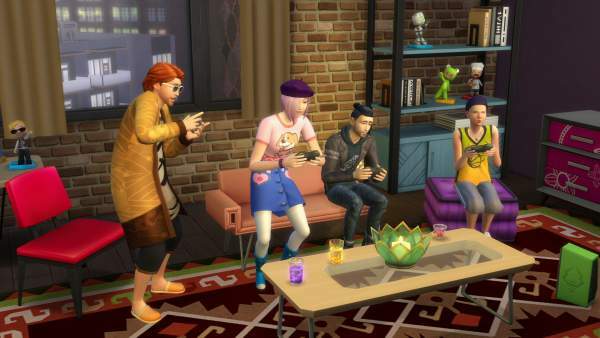 The Sims4 is the first video game to the top charts in only two years. It is a single player simulation video game. It will be releasing on the coming 1st November. The complete name is “The Sims: City Living” as per announced on September 3 this year. It is produced by Kevin Gibson, Grant Rodiek, and Ryan Michael Vaughan. In its starting, the player comes with 40 hairstyles of men and women with 18 colors of the hair. Life stages of the player include baby, teenager, adult and an elder in the Sims4. The full range of clothes and footwear are available to the player. A huge house is built for a player, and vast space is given. The cheat codes are also available which can automatically add $50000 to the player’s account. It will include new world map of The City of San Myshuno coupled with the four neighborhoods to the player. The map will include the areas of some areas which will be near to the mountains. The addition of new five festivals in the game with romantic involvements are also included in the events section of the game. The bars are also available for the celebration of various events. Gaming events like Basketball, mural painting and hanging with friends events are also included for the entertainment purposes. It is still doubted that the game release will be affected by the console version of the game. It has been a game which is enjoyed by the audience for the last 15 years. The gaming world is waiting for The Sims 4. Over the price, it will be out for PC and Mac at $40 and available in the market from 1 November. Let us wait for its release and enjoy it afterward. For more updates, stay tuned and subscribe. Next articleThe Last Guardian Release Date & Updates: TGS Game Play Trailer Released, To Launch On December 6 for PS4?